Here are the relevant categories along with my comments from 'The Walking Dead' vs. 'American Horror Story: Cult' plus Saturn Awards for the seventh year of Crazy Eddie's Motie News. As I did for the movie nominees, I'll only add a comment if I didn't say anything about any of the science fiction nominees. Otherwise, I'll just quote and move on. Kyle MacLachlan would also be an entertainment insiders choice. However, I'm sure there aren't enough of them voting, so I'm not optimistic about his chances of winning. On the other hand, I think Gillian Anderson could pull off an upset as well. She has support from both professionals and fans. Adrianne Palicki, on the other hand, should just be happy to be nominated. 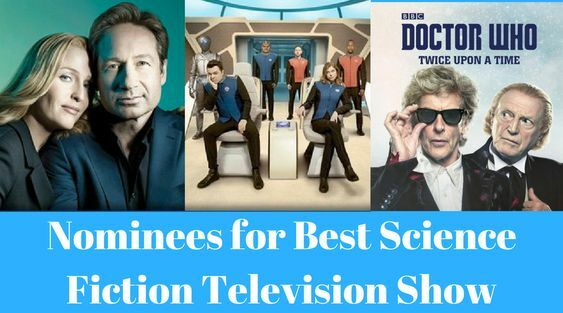 Now for a category I examined in 'Twin Peaks' vs. 'Doctor Who' at the Saturn Awards. 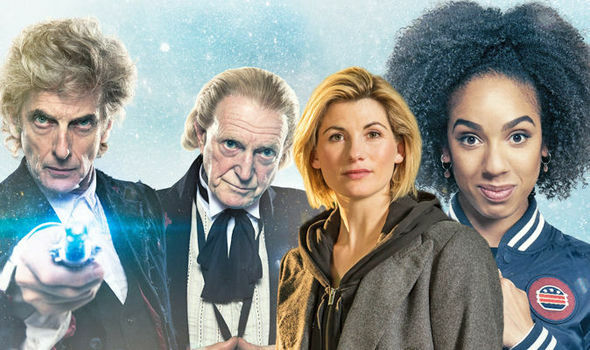 [T]hree of my submissions here got nominated, two in this category, the Doctor Who Christmas Special: "Twice Upon a Time" and "Okja." In addition, "Twin Peaks," which I nominated for Action/Thriller, ended up here where I thought it really belonged but didn't have confidence that the selection committee would place it properly. In addition, I was expecting "Channel Zero" to be nominated and hoping it would be classified as a presentation as well. Joining the four I submitted or predicted are "Descendants 2," "Mystery Science Theater 3000: The Return," and "The Sinner." I'd have missed the first, but the latter two are the kinds of shows I might have submitted instead of "Genius" and "Year Million" had I been paying more attention. Tomorrow will be the last entry about the Saturn Awards, as I will examine home entertainment. After that, I get to vote.